Uranus is at the end of his time in your relationship sector, only in this sector until March 2019. Over the last almost decade, you’ve likely been experiencing lots of changes in your relationships, with the kind of people you’ve attracted into your life and been attracted to, and what you want in a relationship. Any last-minute changes you want to make in your relationships, you can do at the start of the year with Uranus still in your relationship sector and Mars also in this sector to start the year to mid-February. Mars is in your intimacy sector mid-February through March, and Uranus moves from your relationship sector to your intimacy sector in March for the next almost decade. This can be a time where how you emotionally and physically connect with the people you’re closest to undergoes some major changes, and you can find yourself connecting to people who are different from usual. How you share with others may shift, and what you want from others can change. Neptune remains in your work sector all year, and you can focus on work projects and opportunities that you feel intuitively guided toward and can fulfill you spiritually. You likely don’t want to do anything that you don’t feel on a soul level, so you can focus on work that has a more spiritual component to it. Mercury will retrograde (appear to move backward) in your work sector in March, and this may be the time of year when you have a hard time with focus and discipline, lack productivity, or have a hard time sticking to a schedule. Give yourself lots of time to get things done, have some patience, and consider picking up old projects. Mars is in your career sector mid-May through June, so you can feel super ambitious, focused on your goals, and strive to make as much progress as you can. You can hit a high point, hit your stride, or work to make good impressions and make important connections with the right people. You can see the culmination of something you began 1 - 1 ½ years ago, and with the July 2nd solar eclipse in this sector, you can get recognition or praise, unlock new opportunities, and feel like you’re on the right path. Mercury will retrograde in this sector later in July though, and you may want to pick up an old goal or make tweaks to your long-term plans. Mercury will retrograde in your money sector the first half of November, and you may want to have a rainy day fund to cover unexpected expenses that can arise. You can gather financial information and advice, try to find different ways of managing your finances, and try to avoid splurging. Mars is in your money sector mid-November to the end of the year after the Mercury retrograde, and this gives an opportunity to set things right, pursue financial opportunities, and improve your financial situation quickly. Just avoid overspending for the holidays! Saturn and Pluto remain in your home and family sector all year, just like for 2018, so you can continue to work on family issues, address issues with your family members, improve your relationships with your relatives, or decide if you need to put distance and walk away. You may feel more restricted and limited at times at home, and may want to downsize or make some changes. You can transform your connection to your home and family, and your definition of family or what home means to you can shift in a profound way during this period. A solar eclipse occurs in this sector January 5th and December 26th, and these can be good periods for focusing on matters at home or with family, for remodeling or renovating, moving, family gatherings, and strengthening your support system. 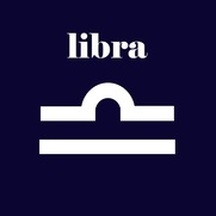 A lunar eclipse occurs in this sector July 16th, and this can be a time where family issues come to a head, you have to make important decisions impacting your home life or family, and it can be more important for you emotionally to have a solid home base and family to connect to. Jupiter moves into this sector in December, and you can start working on bringing positive energy to matters at home or with family, expanding on the good and working harder on the difficult. Jupiter is in the sector ruling your mind for most of the year, and this can bring great mental energy. You can focus on expanding your mind, learning new things and taking courses or going to school, teaching what you know and sharing knowledge and wisdom, and you can gain new knowledge through experience. You can be more engaging and open with your ideas and plans, which you can come up with a lot of, and you can have a more positive outlook on life. You can merge the big and little picture, and can put together excellent long-term plans that stem from excellent short-term plans. You can feel like your mind is clicking, and you can see everything in front of you. Mars is in the sector ruling your higher mind April through mid-May, and this can be a great period for higher learning (college, university, gaining expertise), and you can also do well teaching, writing, and speaking. You can be more optimistic and gregarious, and your focus on the positives can open up new opportunities to you as you explore what’s possible in your life. Mars is in the sector ruling your subconscious mind mid-August through September, and this can be a good time to get in tune with your subconscious mind. You can gain better understanding of your subconscious issues and what you need to do to address them, your subconscious motivations and what drives you, and your subconscious desires and why you want what you want. You can integrate more of your conscious and subconscious minds, and try to have them work together instead of against each other. Mars is in your sign October through mid-November, which can be a great time for focusing on new beginnings, embarking on a new journey, starting new projects, and pursuing new opportunities. You can have lots of energy and drive, feel independent and take initiative, and have a more pioneering spirit. Mars is in your sign once every two years or so, and this can be the start of a new 2 year cycle, so make the most of the energy while you have it. The 3 Mercury retrogrades in 2019 impact your money, work, and career sectors, so all of the professional sectors, which can be a time when you experience a lot of professional instability, feel unsettled professionally, or want to do something different professionally. Try not to jump into anything too impulsively, and be smart with any changes you do make. This can be good energy for going back to work for someone you used to work for, in a job you’ve worked before, or to pursue old work opportunities again.